As we make our way through four years of schooling, the cliche of “poor college student” slowly becomes more of a reality. Deciding whether or not you need to buy an “optional” textbook is something that you have control over, but in our industries, deciding if you need to spend money on business clothes isn’t so much of an option. Looking professional doesn’t mean you have to spend a lot of money. Shop smart. Pick out pieces that you can mix and match, and sometimes you can even find great pieces at thrift shops! I have put together three separate looks that are entirely thrifted. From head-to-toe, none of the following looks total over $15. Some pieces I’ve picked up at garage sales and secondhand shops, others have been hand-me-downs from family members. 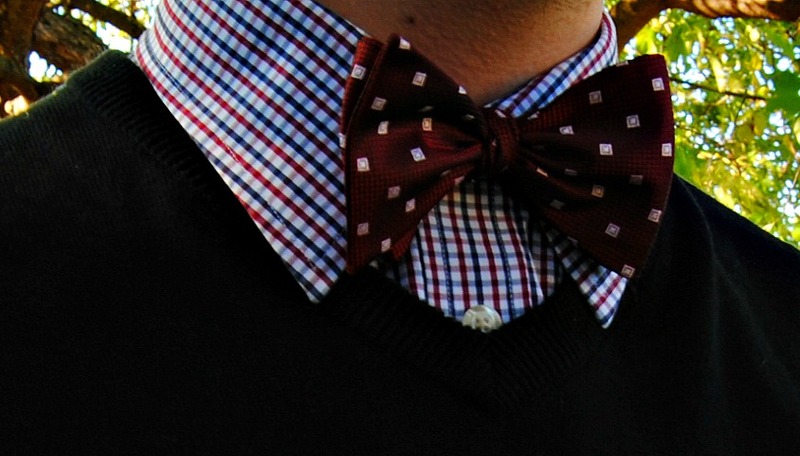 Basically, how to wear your granddad’s clothes and look incredible. Look 1: Everything you see came from a local thrift store. The grey brogues were $1.00, sweater vest was $0.65, dress pants $2.50, plaid dress shirt $1.50, and the bow tie (with matching pocket square not shown) was a whopping $0.20! Bringing this look’s total to $5.85. 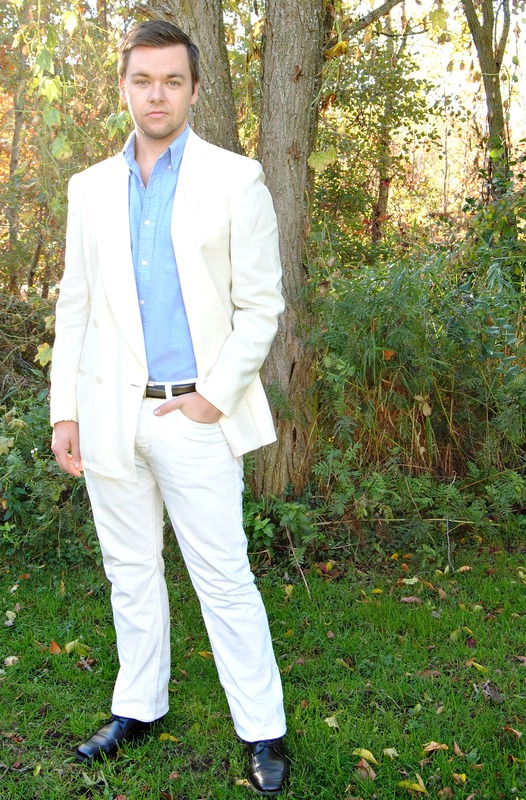 Look 2: “Don’t wear white after labor day”…psh. If you find a fitting white suit coat and dress pants for $5.00, you don’t complain. I picked the jacket up a few years back but never wore it until I found the pants a few months ago. Pairing it with a blue dress shirt, black belt and black shoes totaling $9.50, you can enjoy a summer party and steal the attention of all the ladies for less than $15. Look 3: Bringing it back to the basics. 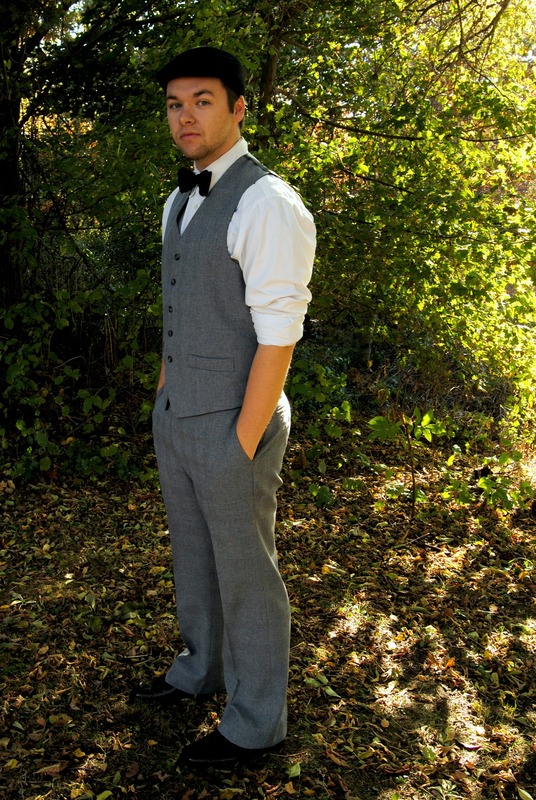 In honor of the PRSSA National Conference 1920’s party, I give you an easy take on a classic look. The grey tweed elements are a part of a 3-piece suit I got at a garage sale. When the previous owner told me I was the first person to show any interest in it all day, they gave it to me for free! You have to have a classic black bow tie, and mine happens to be $0.20 off of amazon. A dress shirt I’ve had for years, newsboy cap I bought at Kohl’s for $8, black belt from the previous look, and the same black shoes bring this total to $14.50! You don’t have to break the bank if you want to look good, old sport. If you are not a fan of thrift stores or just can’t seem to find anything worth buying when you go to them, don’t worry! You can take small steps towards saving money to guarantee that you have a full wardrobe of professional wear by the time graduation comes around. 1. Start saving the first day of next month; have a solid start date. 2. Take money out of each paycheck that you feel comfortable with (I set aside about $40) and place it somewhere safe. Where you put the money is not important – what is important is that you don’t touch it. 3. Every month I take my $80 and purchase a necessary article of business clothing. Now, just because I like something doesn’t classify it as “necessary.” I’m talking about the things I don’t yet have or the things I need to replace first, and then personal wants come after. 4. (Optional) If you go shopping and discover you can’t find anything to buy, Congratulations! You’ve just gained extra money for next month’s trip. 5. When you bring home the new clothes, immediately throw out/donate an article of clothing you already have. This guarantees that you have room in your closet for the new additions, but helps you look your best more often. Remember: Just because you don’t have business clothes right now, doesn’t mean you can’t start building your wardrobe. From thrift shops to high-end boutiques, spend your money wisely. 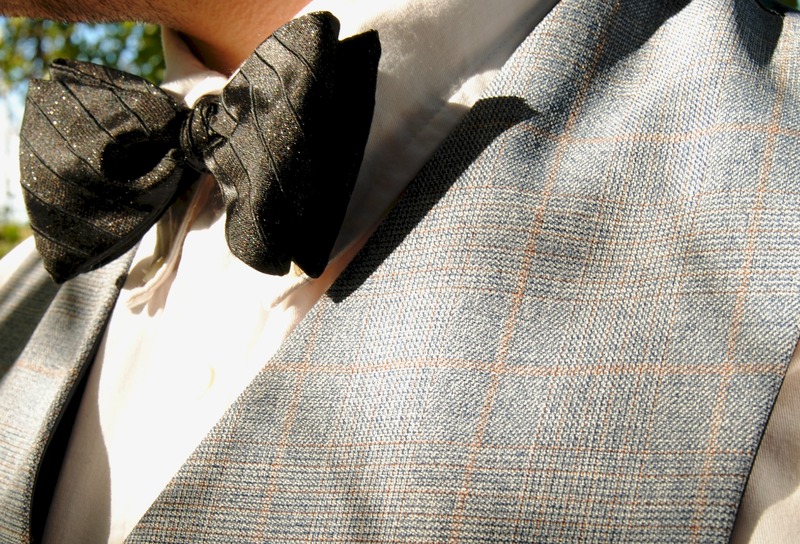 You’ll surprise yourself with creative ways to re-use your grandparent’s old suits, and jackets you find in the clearance section. Jordan is both PRSSA Chapter President and Special Events Coordinator at Northern Michigan University. 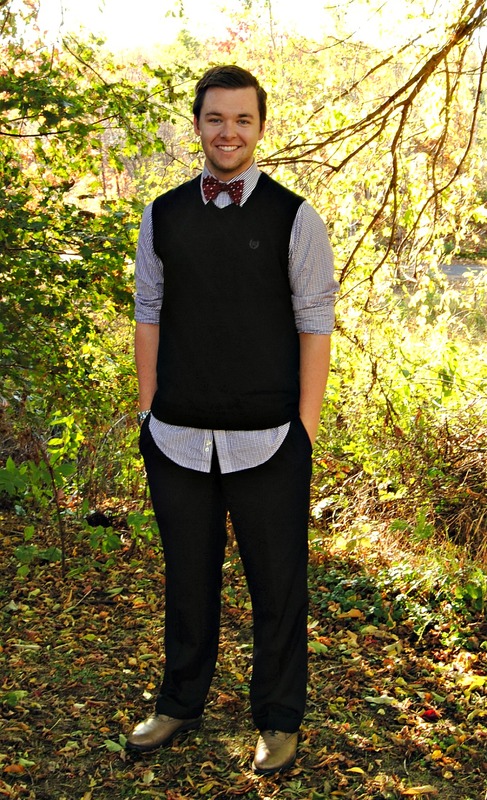 He is majoring in PR and electronic journalism, always bringing his ‘eh’ game and a bow tie enthusiast. I definitely can vouch for this! 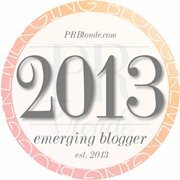 I have picked out my best and most promising business clothes and accessories from thrift shops. Love this post! Thanks for the tips on saving…i needed them! I can definitely vouch for this! I have found some of my favorite professional clothes and accessories from thrift shops. I love them! Thanks for the tip on saving $$$…i needed it. I have been able to find a lot of great (and unique) shoes that usually have never been worn from thrift stores or consignment shops!